We prepared this guide after seeing so many people struggle with understanding the design and construction process. This process can seem like a complex and frightening roadblock for those who haven’t been through it before. The most important step is choosing an architectural professional. Nothing is more exciting than creating a new project for your business or personal life, and nothing will affect the success of your project more than the right architectural professional. The architectural professional determines the design and function of a space or building as well as the emotional toll and financial costs involved in its construction. You may be wondering: how do I find the right architectural professional? Finding your perfect match in an architectural professional is not impossible and we’ll show you eight points to guide you along the way. Use these points to help analyze the personality, design strategy and communication skills of your candidates. 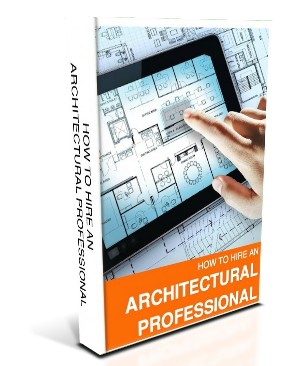 In this guide, you will discover how to find the right architectural professional for your design, for your budget. Our design process is our advantage. With the experience of over 300 projects, an intimate understanding of the permit process and municipal approvals, and a wealth of building construction knowledge, S R Architecture will ensure that your project – from start to finish – will be handled with confidence and efficiency. We promise a full service experience. No matter what the size or complexity of your project, we will provide a turnkey approach to maximize your take home investment. We treat our client’s investment as if it were our own; this is the key to our success.